More information about Peter Riva can be found on his official website and his Facebook page. Ask him questions on Twitter—he’s nice! 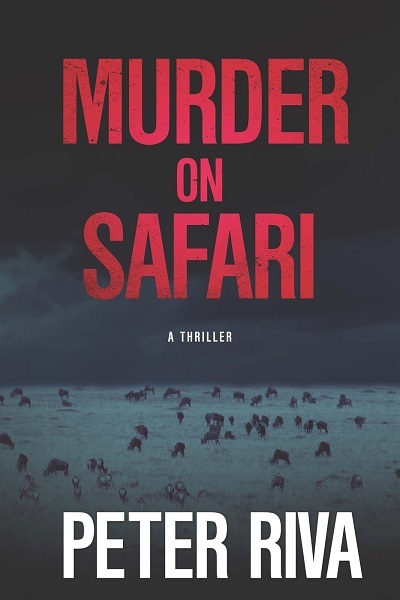 Having lived on the continent for quite a number of years but not as either a wildlife television producer or a clandestine courier for the United States government like main protagonist Pero Baltazar, there is a lot in Peter Riva’s thriller Murder on Safari that made me smile. For one, the airport arrival scene at the beginning of the book was vey well described, so much so that some of the sensations typically associated with the airports on the continent I had the opportunity to visit came to mind. Another detail that made me smile were the dealings with locals. More specifically, the cultural differences and the way visitors have to adapt to local customs that might brand us as rude at home were reminders of the delicate dance that is interacting with others. Just like with The Path and Reaching Angelica, this book is very well-written. Without revealing anything—trust me, you do not want any spoilers!—the plot is first engaging then slowly becomes gripping. You have been warned, you might stay up at night to get through some of the tenser sections. Something that I have come to dislike in more mainstream, mass-produced thrillers is how the plot is almost watered down, the book instead filled with emotional ploys to keep readers captivated. Reading those books really feels at times like eating junk food—you can’t stop eating but end up dissatisfied. 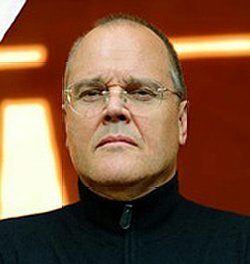 Just like with what he did with science-fiction in his abovementioned two other books that I have read, author Riva does not in any way dilute his story in this way. He does generate intense emotions in his readers but the good old-fashioned way: through a tightly weaved plot filled with unexpected but realistic—within the context of the story—twists and turns. Completing the book is extremely satisfying and might take some time to digest before going on to another book—which, for me, is a sign of a good book well worth reading. I personally didn’t find as much in this book to reflect on as I did in The Path and Reaching Angelica, but as an author and avid reader, enjoyed the tight writing and detailed, evocative descriptions. Perhaps for someone who has never been to Africa, this book might open up their minds, to a certain extent, to some aspects of life in a specific part of that continent; but mainly this is a book meant to get your heart-pumping, which is does very well. Purchase the book on Amazon, at Barnes & Noble, or at Chapters/Indigo. Indeed you made my day again… so great to have someone to share the real airport scenes and Africa this way… yes, the book is based on personal visits and experiences over the decades (first went to Africa at age 16 in ’66). Thank you for the kind words!